This throws up exciting questions. For example: how can trade fairs create visitor profiles not just for one trade fair but in future create profiles that cover several fairs and also several trade fair companies. To achieve this, it is necessary to merge the data pools of several trade fair customers. This would enable trade fairs to identify new and unexpected target groups for individual events with much greater ease and achieve better cross-marketing. To do this, it is necessary to record the visitor pattern of the individual profile in keeping with data protection requirements – how regularly does a person visit a trade fair over the years? Is there a correlation between the visit to a trade fair and another one in a completely different industry? Is there a correlation between the point of time at which the ticket is purchased or the visitor’s country of origin and the probability that the trade fair visitor does not turn up? All this data can be collated on dashboards by means of reports. In the field of business intelligence one refers to central KPIs. 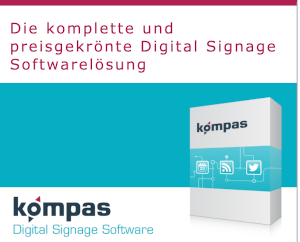 What advantages does big data offer trade fairs? The trade fair business is in a period of transition. The sale of floor space to exhibitors as the core business model is no longer sufficient. Due to the changing expectations of the exhibitors, it is becoming necessary to expand the business model by offering additional services. For the exhibitors the purpose of a trade fair is matchmaking. Thanks to digitalization and the available data, in future the trade fair will act as the broker of contacts and trends and will support the exhibitors’ marketing activities. 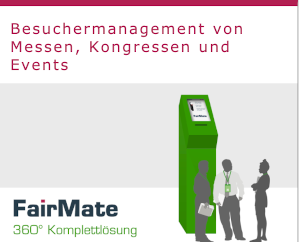 Improved planning of ticket office utilization (by evaluating the cashier statistics in real time). Improved capacity utilization of the halls through live data on admissions and departures. Early detection of changes to the visitor structure. Discovery of new patterns and correlations in the data (data mining). For example: Which exhibitors need to attend the trade fair in order to increase the total number of visitors to the fair? Which market players who attract a particularly large number of interested parties should be won for the trade fair? This allows network effects to be achieved by offering the right combination of diverse exhibitors. Which target groups come increasingly often? On which days? This makes it possible for the trade fair to greatly improve the orientation of its framework program (conferences, special tours, meetings with VIP purchasers). Improved matchmaking between supply (exhibitors) and demand (visitors). Vision for the future: Better overview of how the market is developing in an industry (predictions based on the previous data). How to go about implementing this? As is the case in all industries, trade fairs also face typical challenges when using and evaluating data. First of all, the data originates from different sources and needs to be collated. This includes data on the number of visitors entering the grounds, data from the ticket office, on the number of admissions, support requests, telephone calls, reactions to newsletters, activity on trade fair websites and from lead-tracking. All this data requires a common key (ID of the ticket with corresponding link to the profile) in order to link up the various data and correlate it almost in real time. Before a trade fair company evaluates its data, it should seek professional advice in order to formulate meaningful questions. It should bring data analysis experts with a deep understanding of the industry on board. In order to analyze the comprehensive and varied data, it is necessary to create interfaces to analysis tools such as Google Analytics, in which data is collected such as the reactions to newsletters and visits to the websites. This data is linked to the overall ticketing and visitor management system and, if required, supplemented with data from support requests. Expand the business model based on data. Become the central platform for data-driven matchmaking between supply and demand. 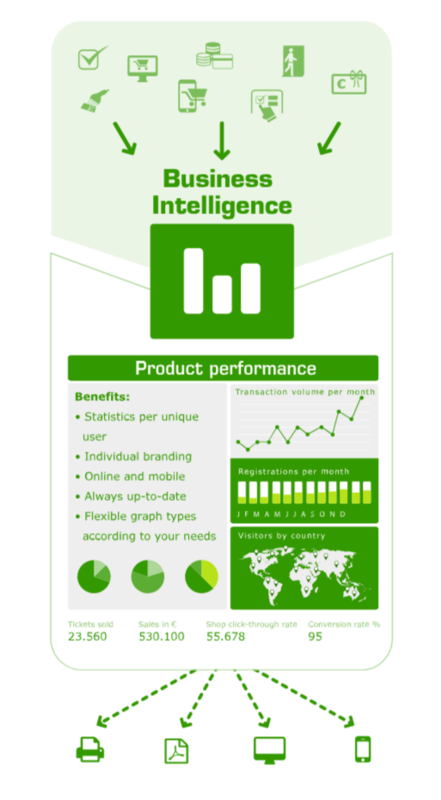 Learn more about FairMate Business Intelligence and how it helps you to boost your trade fair!